Our mission is to help put an end to the cycle of poverty that exists throughout Africa, by building more schools and renovating existing ones, and by providing tuition and other financial assistance to underprivileged students anywhere within the continent of Africa. WEHASS WE HELP AFRICAN STUDENTS SUCCEED INC accepts donations. Donate Now. 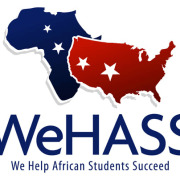 Would you recommend WEHASS WE HELP AFRICAN STUDENTS SUCCEED INC?